It’s that time of the year where the Ballon d’Or is presented to the best player in the world. Once again, Messi was not the winner. It was no surprise that someone else won the award, and this year, the winner of the Ballon d’Or was Luka Modrić. The only thing that was surprising was seeing Messi finish fifth in the voting which was an insult to a player of such magnitude. Messi will always be the best footballer on the planet. Everyone knows what he accomplished last season. However, it was obvious that the Ballon d’Or was going to be given to a player who shined in the Champions League and the World Cup and Modrić satisfied both requirements in the eyes of the voters. Nonetheless, is Modrić really the best player in the world? 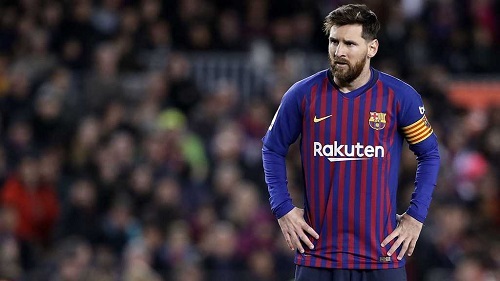 Ever since 2010, I wondered if the Ballon d’Or was an award given to the current best player in the world or was it for the best performing player of the calendar year? The criteria have never been clear but no one can truthfully say that Modrić is a better player than Messi. History has shown us that the best players don’t always win the individual awards. Michael Jordan was the best in his sport when he won those six NBA titles, yet he was the NBA MVP in four of those seasons. while Charles Barkley and Karl Malone were the other two. Nonetheless, we do not need an award to remind us that Messi is the best and he was never one for personal accolades. His goal is team success while his performance on the pitch is enough to do the talking for him. Previous PostBarça advance to Copa del Rey Round of 16 after eliminating Cultural Leonesa. Next PostBarça thrash Espanyol 4-0 in derby win.